Do you want a little extra storage for your MicroSD-equipped smartphone? Alternately, do you want a hell of a lot of extra storage? Then checking out Amazon's daily Gold Box deal this morning would be a good place to start. 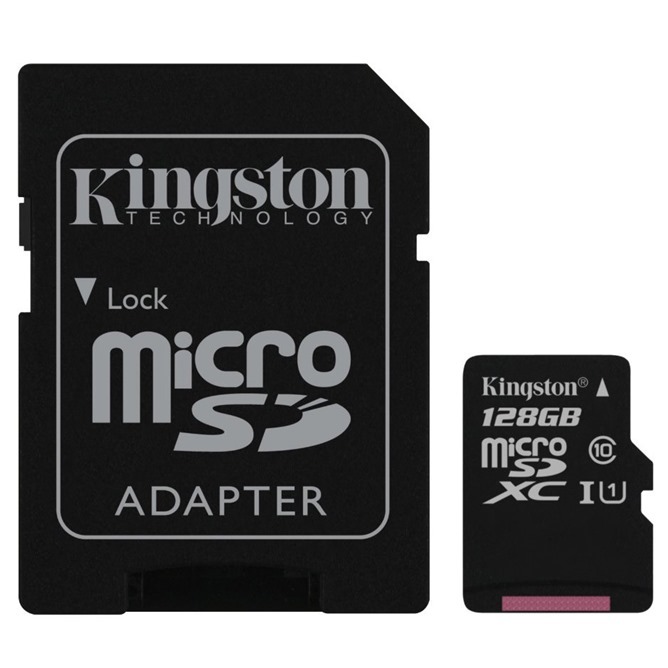 The retailer is offering massive discounts on Kingston-branded cards in 16GB, 32GB, 64GB, and 128GB capacities. As usual with Gold Box, the discounts are valid for today only, and all come with free two-day shipping for Amazon Prime users. All of them are certified for Class 10 speeds of 10MB per second, making them acceptable for photography both on your phone and in a standard camera via the included adaptor sleeves. Of course you'll need a phone with a MicroSD card to take advantage of any extra storage, and those are getting rare outside of the budget space. There's also this curious gadget, a combination full-size SD card slot, standard USB port adaptor, wired-to-WiFi hotspot converter, and a 4640mAh external battery. You can grab it for $29.99 ($40 off retail) or $54.99 with a bundled 64GB full-sized SD card ($82 off). Other deals for storage and PC components and accessories are also active today.